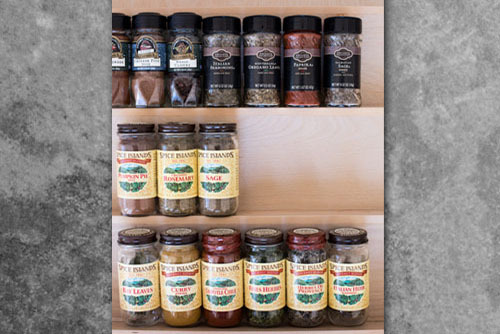 Our Custom Wood Spice Drawer Organizer is one of the best ways to keep your spices close to hand and easy to reach when cooking. 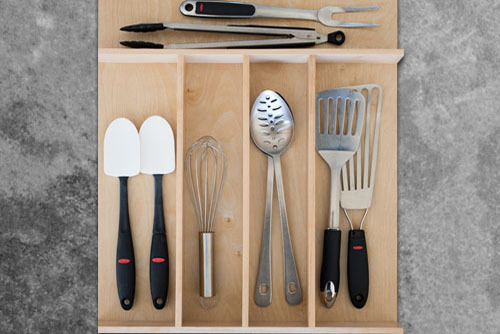 The tiered, slanted construction allows for easy viewing, and keeps your spices nicely organized within the drawer. 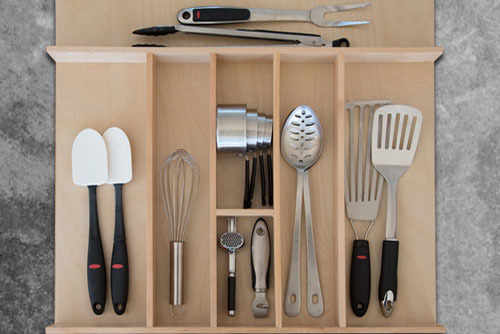 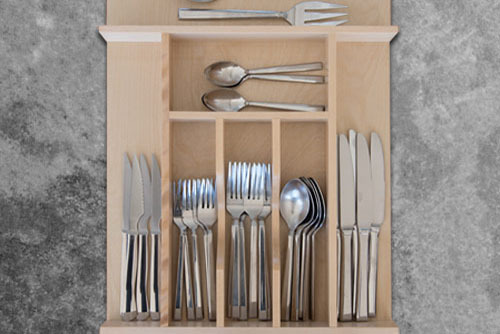 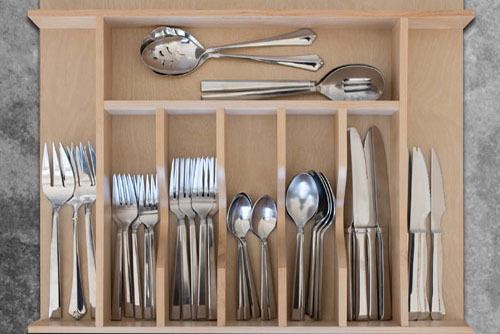 The best feature of the custom insert is that it can be ordered to fit YOUR drawer = maximizing every inch of space!